Spring (and the smell of Maple Syrup) is in the air! Springtime = Maple Syrup! 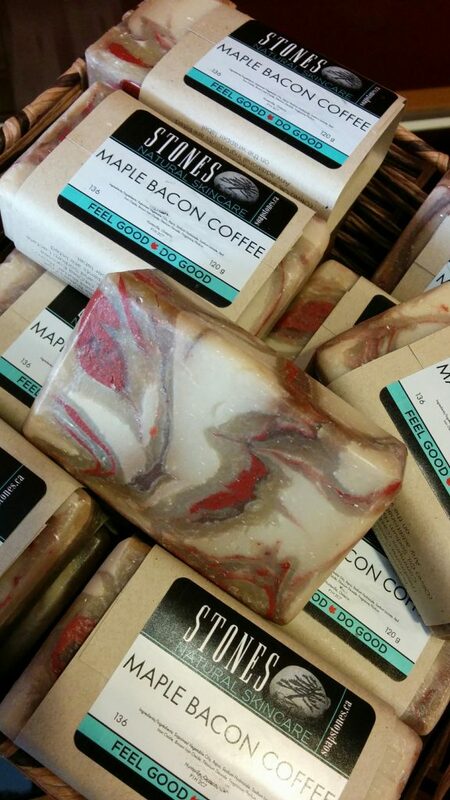 To that end, we’ve just brought in a fresh batch of Maple Bacon Coffee Soap from our friends at SoapStones in beautiful Huntsville, Ontario. You can buy these for $7 a pop OR you can get one for FREE with your Maple Trail Pass (available during March and April at visitstratford.ca/stratford-maple-trail). Cheers!